Democrat National Committee chair Debbie Wasserman Schultz recently provoked a storm of criticism from pro-choice activists. In an interview, Schultz lamented the “complacency” of today’s young women in the fight for abortion access. 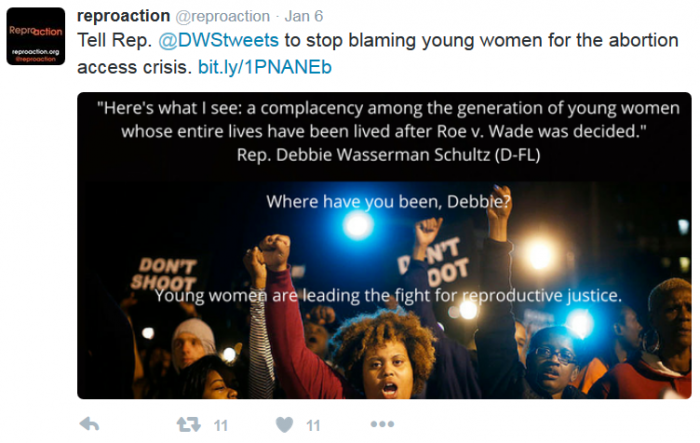 In response, pro-choice activists took to Twitter with the hashtag #deardebbie. 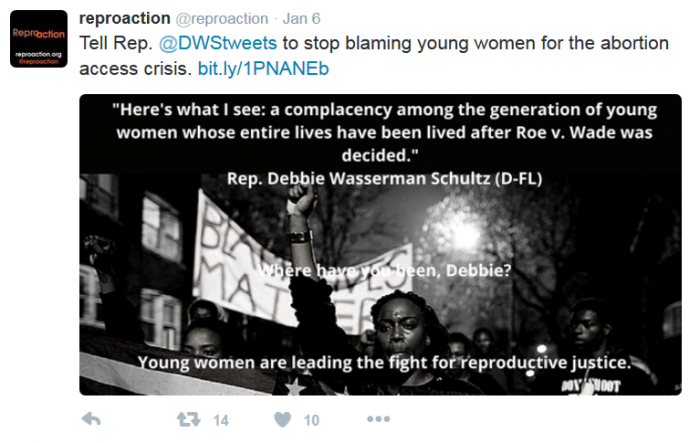 They insisted that young women were passionate about abortion, and some even called for Schultz to resign. These photos were retweeted by Matson and other pro-choice activists, including the organizations A is For and the Lilith Fund. One of the pictures was even featured prominently in an article by ABC News. The young women featured in the photos are clearly not rallying for abortion access. The signs being held plainly read “black lives matter” and “don’t shoot.” Not a single pro-choice slogan can be found anywhere in the crowd. This raises an obvious question. 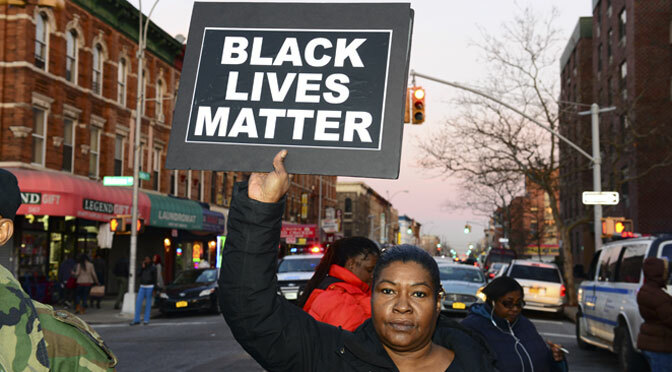 Why would Reproaction choose to hijack the Black Lives Matter movement? Why not simply take a photo from one of the energetic pro-abortion rallies that are sweeping up the youth of America? Perhaps such rallies are hard to find. Maybe Schultz was right after all. Perhaps not many young women these days get energized about the right to have their children dismembered.